The Boykin Spaniel is South Carolina’s Official State Dog. He has been around since the early 1900s when he was found in South Carolina near a church, wandering around lost. 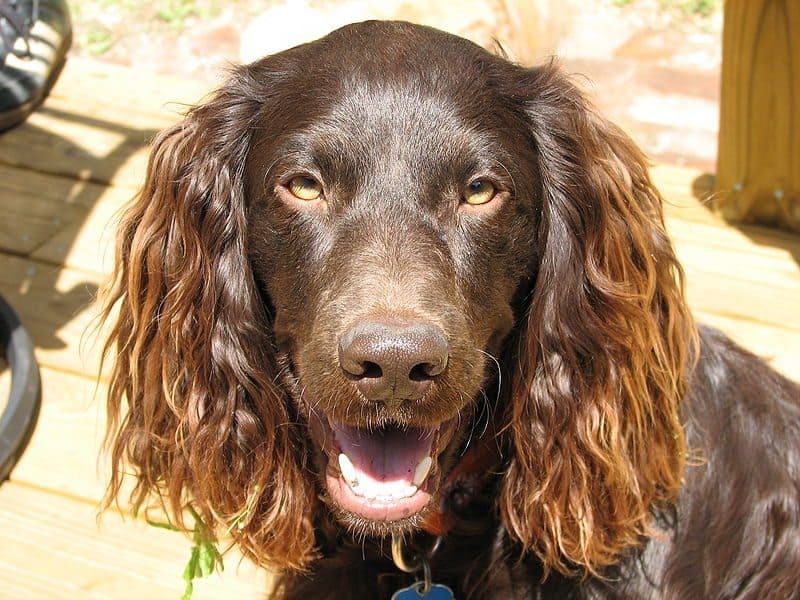 He was taken home as a pet and trained to be a waterfowl retriever and turkey dog. He’ll happily hunt all day long and has an energetic, cheerful personality. His small size means the owner can lift him and his prey into the boat in one go. His coat is chocolate brown. He loves being around children as well as adults and he also likes having other dogs around. His coat only needs a weekly brush and the occasional bath. The male is 15.5 – 18 inches high. The female is 14 – 16.5 inches high.